Summary Prices Program Booking Who is Coming? 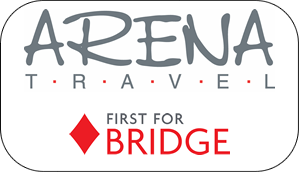 Our reunion this year is being organised on our behalf by ARENA TRAVEL. 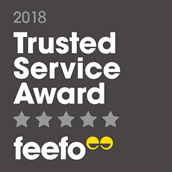 This year Arena Travel have received a 'Trusted Service Award' from independent review company, Feefo, due to receiving a rating of 4.5/5 for customer experience. Both Hotels are run by the same owners and are adjacent so we can offer a budget option in addition to the 4* option. Dinners, Bridge and all other events will be together at the Le Soleil Hotel. Miami Hotel guests will breakfast there. - Flights or alternative Transport to/from Hotel or any transfers. 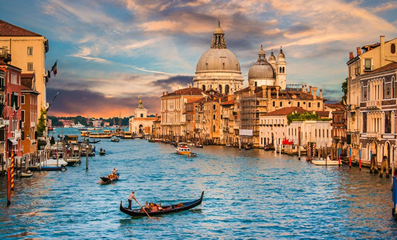 There are a huge range of regional flights available to both Marco Polo and Treviso from the UK. BA from Gatwick into Marco Polo and Ryan Air from Stansted and Southend into Treviso are already on sale for the Reunion dates. Surprisingly BA are showing much lower fares than Ryanair at the moment, and Marco Polo has much better public access to Lido di Jesolo. BA have a lot of flight schedules starting from £70 + baggage return. Typical Suggested Flight with BA - on July 12 shows £112 + baggage. Jet2 airlines have flights from Manchester on sale for Reunion dates. They have other airports for different days for members wanting different durations. Easyjet have not yet released their flight schedules for May 2019, but this year they flew regularly to Marco Polo from Bristol, Gatwick, Luton and Edinburgh - and many overseas airports. And not so regularly from Liverpool, Belfast and Glasgow. There are regular airport buses that go directly from airport to central bus station in Lido di Jesolo for a low cost. Duration 38 minutes. Bus station is a 7 min taxi ride from hotels. This is not so simple on public transport as you need to change buses on route. Journey takes approx 1 hour 40 minutes, again to bus station in Lido di Jesolo. . The nearest train station is at Dona di Piave - approximately 20 kilometres from Lido di Jesolo. Transportation to Punta Sabbioni-Jesolo by a direct speedboat line (motonave) offered by Actv, with departures from Venice-Pietà. From Punta Sabbioni you can go to Jesolo by Atvo autobus. Atvo offers a transportation service by bus from Jesolo to Venice (and vice versa). Unsecured parking is available externally at the hotels free of charge. Covered parking is 10 euros per car per day. I have just come back from a short stay at the Hotel Le Soleil, and given it a good check out for the Bridgeclublive Annual Reunion. What can I say - it really is a great venue for a bridge get together. Apart from having most importantly a good conference room for our bridge sessions it has a whole lot more to offer. I particularly liked the spaciousness - big outside terraces, tastefully furnished and overlooking the ocean, and plenty of inside lounges for relaxing and getting together outside the bridge room. Dining was excellent both at dinner and breakfast, and staff throughout hotel were friendly and professional. Location is perfect - on the beach front with its own private beach, but it is also situated on Piazza Aurora, one of the main squares in Lido di Jesolo - so you have really easy access to shops, eateries and the bus stop to Punta Sabbioni for boats to Venice and the Islands. Making your own way from Venice Marco Polo airport is simple. Buses leave from directly outside the airport and can be as frequent as every 20 minutes at peak times. A return ticket to the main bus station in Lido di Jesolo cost 6.4 euros, and the bus journey takes 40 minutes. It is a short taxi journey from the bus station to the hotel. Having vetted overseas hotels for bridge events for over 20 years, I was extremely impressed with the Hotel Le Soleil - usually there is something that could be improved on, but this hotel really ticked all the boxes!